A MAJOR indoor entertainment arena would be built in the heart of Brisbane under an exciting new proposal by the world’s biggest venue operator. The $400 million state-of-the art complex, with a capacity of about 15,000, would host concerts by international music stars such as Taylor Swift, ice spectaculars and other family shows, monster trucks and sports events. Taylor Swift playing in a 15k capacity arena when there's a 50k stadium across the river? Who writes this crap? Although it will probably attract acts that currently go to that oversized cowshed in the bush. Oh wow, a huge stadium in West End. I can see the locals just lapping that idea up, NOT!! 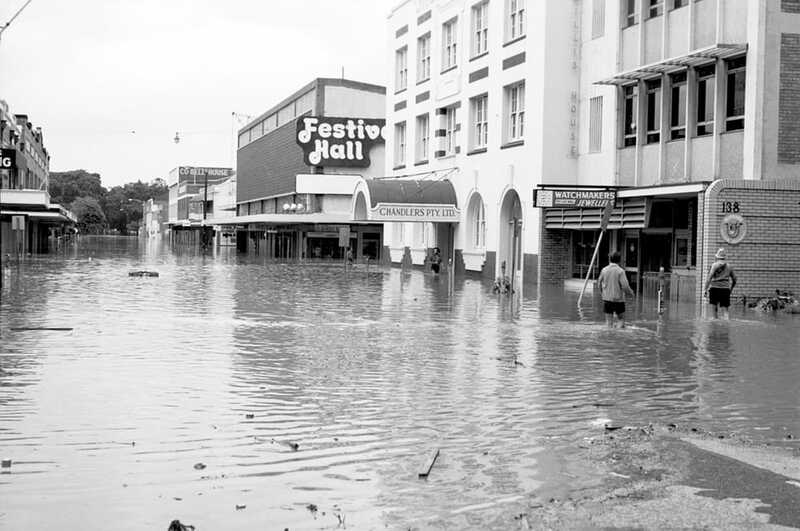 We had a venue in Brisbane once - Festival Hall. The capacity was only 4000 though, but there lots of good concerts there including Beatles, Led Zepplin, Fleetwood Mac and many others. I think the locals would actually be fine with it. Depends on the financials for putting on a show there. If State or BCC chipped in to set a few weekends aside each year for local acts, that'd probably be quite popular. I've been of the view for quite a while that the existing Brisbane Entertainment Centre at Boondall be moved to South Brisbane, and it looks like something along those lines is going to happen? I would honestly prefer it to be a bit bigger than holding 15,000 people, but I guess they are limited to the size of the site. Anyone know how many people the existing BEC can take? It will be sound proof and all weather so I think sound will not be a challenge. Congestion will be ! I'm not that concerned about congestion. There's already quite a bit of car congestion at the BEC events at Boondall already, and honestly I think that's due to simply its location right next to the Gateway Motorway and being past halfway down the Shorncliffe line, ie: it's located in woop woop land (for Brisbane). A friend works at Bec apparently Max :13,000 to 14,000. Capacity hardly ever sold out or to capacity. The same event company that runs Boondall is keen on the relocation to the city centre and will be built with private money no expense to the public purse. Maybe the Cultural centre terminating busses will extend their route to the New Entertainment Centre? This is getting my foam hat on, but wouldn't it be a smarter idea to start building this stuff in and around QE2? Then when Brisbane hosts the Olympics in say, 2040, loop lines can easily be extended from the Beenleigh line/SE Busway a la the Olympic Line in Sydney to serve the future Olympic Village. The current QSAC precinct can actually become something which gets used for events regularly and becomes a precinct people actually visit, versus QSAC which seems to primarily exist to serve niche sports and as a Park n Ride. It's either go to Suncorp (and hope it doesn't rain) like Taylor Swift - or sell out a number of concerts at an indoor venue like P!nk. To be perfectly fair, the BEC is in woop woop and right next to the main inter-city highway for SEQ, and train station serves only a single line. You would expect most people to drive there. Putting in closer to town sounds sensible to me. Should do a fair bit for evening trading whenever something is on, unlike at Boondall where everybody jumps in their car and racks off, or has to scurry off early to make the last train. You would expect most people to drive there. Cafes and bars can go Gansbusters until 2 am. SurfRail is 100% correct. As a frequent user of Boondall (several times a year for concerts), I can say that unless you live on the Shorncliffe line, public transport access from Boondall, to be blunt, is about as useful as t*ts on a bull. Your normal concert at Boondall goes until around 10:30–11pm, and as the train from Boondall back to Central is 45 minutes, you could get back to Brisbane, but not before pretty well all final bus services and many final train services have already left. This is why such a vast majority of people drive to BEC, there is no alternative for them. The Parmalat factory site is a reasonably good location. Well within walking distance to South Brisbane, Cultural Centre, and Roma Street. That's beautiful, I'll have to remember that. I've found a car park that means we can get out within 5-15 minutes of getting to the car. Would love to catch public transport to BEC and back home to sunny Oxley.. but when you are paying $200, $300, $400 for a ticket to see Rolling Stones.. Bruce Springsteen.. I want to see the whole show... and trains just don't work... Bruce Springsteen in 2015 played for about 4 hour straight from around 8.15pm to around 12.15am... no trains to city and definitely no connecting train to Oxley... so driving is the only thing that does it for me ... also generally have to actually work in the CBD the following day .. so that rules out riding my bike or walking (active transport). Railroad Gin was arguably one of the best early Brisbane groups. This is at Festival Hall, as I can best guess ..
My point is this. The closer to the City, the prime entertainment venue is, the better! Transport, access, everything is better. Go for it Brisbane! Plus more patronage, hence the move from Boondall. Translink survey 3rd question: Better service. It would be a real stupid idea if a indoor entertainment is built at The Parmalat factory site, when we have other centres such as Suncorp Stadium, The Gabba, QPAC and South Bank exhibition centre. And congestion and people traffic well get worse around The West End area especially when people look for places to eat and drink. Also there is congestion of buses at say Culture Centre and South Bank so this well get worse if a indoor entertainment is built at The Parmalat factory site. So fix up the problems such as congestion and poor transport NOW before even considering a indoor entertainment at The Parmalat factory site. On 2nd thoughts don't even bother with a a indoor entertainment at The Parmalat factory site. So you would prefer people to continue going to Woop Woop/No Mans Land...sorry...Boondall instead? I would prefer someone to read comments before they reply with their own, as I didn't mention Boondall but did in fact mention "Suncorp Stadium, The Gabba, QPAC and South Bank exhibition centre". But hey when you keen to reply, skip over people comments? I would prefer someone to read comments before they reply with their own as I did in fact mention "Suncorp Stadium, The Gabba, QPAC and South Bank exhibition centre". I did read the comments. From what I can gather, you are against building a 15,000 seat entertainment centre at the Parmalat Factory site (of which the surrounding area is going to be redeveloped). 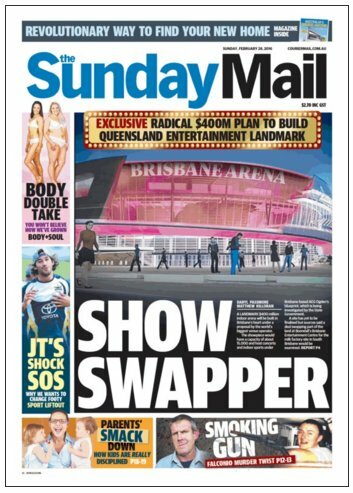 Using that logic, we might as well shut down the existing Brisbane Entertainment Centre at Boondall since that this idea is more of a relocation of the existing BEC from a place that is difficult to get to, to somewhere more central and in an area already used for cultural, sporting and entertainment events (including theatre). The general area is within walking distance of high density public transport (South Brisbane station, Cultural Centre busway station, Roma Street station, Roma Street busway station), and the city and West End which is filled with businesses who I'm sure would love the extra patronage before and/or after a show. Unlike Boondall which has some wetlands, light residential, a motorway and a suburban rail line. I hope the State Government or BCC is not pouring any money into this. There are already perfectly good venues all around Brisbane that could be used or upgraded. Boondall is out in whoop whoop precisely so that it has the car parking, crowd and noise insulation from other residential areas. When you are keen to reply, forget looking at the facts like other comments I made such as there would be increase congestion and people traffic. Suncorp Stadium isn't in woop woop, the football matches and occassional concert don't make noise? None of those venues are really in the same class as the BEC though. The Gabba is very poor for concerts given the geometry, and is at a significant remove from the CBD. Suncorp has curfews, significant noise restrictions and caps on the number of events. The main hall at BCEC seats around 4,000. If all of QPAC's 4 theatres are in use at once it's around 5,000 people total. Well of course there'd be an increase of people, doesn't necessarily mean an increase in congestion though, given that it's basically in the city (all right, via a 10min walk over a bridge). Correct me if I'm wrong, but I don't think the Gabba has ever held concerts? When you are keen to reply, forget to be looking at facts? Such as common sense, shows there would be an increase in congestion and people traffic in West End. But is someone is saying The Parmalat factory site,is in the city and not West End? So someone is saying The Parmalat factory site,is the city and not West End? I said 'basically' ie: very close to the city, and noted it with a 'via a 10min walk over a bridge'. Google Maps can draw a route for you. Someone thinks a large amount of people leaving indoor entertainment centre at The Parmalat factory site,well take 10 minutes to walk to the city and won't increase congestion and people traffic in West End? Ok what ever someone claims. As I have been to a concert at QPAC and it took a while to get out, so forget about walking to the city in 10 minutes coming from a indoor entertainment centre at The Parmalat factory site and I have been to West End on Friday forget about people traffic reducing from people coming from indoor entertainment centre at The Parmalat factory site. PS Check Google maps and it said it would take 22 minutes to walk from The Parmalat factory site to Brisbane CBD even without indoor entertainment centre at The Parmalat factory site. So I would like to know where they got 10 minutes? Out of thin air? Google can help someone face and accept facts. It did, it showed me the Parmalat factory site backs onto the Brisbane River, and is basically sandwiched between GOMA and the Merivale Bridge and William Jolly Bridges, and that the suburb is South Brisbane NOT West End. But of course being "basically sandwiched between GOMA and the Merivale Bridge and William Jolly Bridges" congestion from indoor entertainment centre at The Parmalat factory site,well be reduced? Now if only someone check Google Maps, to see it takes 22 minutes to walk from The Parmalat factory site to CBD and using common sense it would take longer with a large amount of people leaving indoor entertainment centre at The Parmalat factory site and not 10 minutes unless they run. Guessing proves someone is admitting they weren't right? By the way, for the record, I have gone to events at the existing BEC and I must say that I actually got lost the first time walking back from BEC to the station - being quite dark once the show was over and being a little lost for direction at the time. The greatest amount of time I've had getting out of BEC was physically getting out of the actual building, not the actual walk to the station or once I was outside (ditto with heading into the BEC).